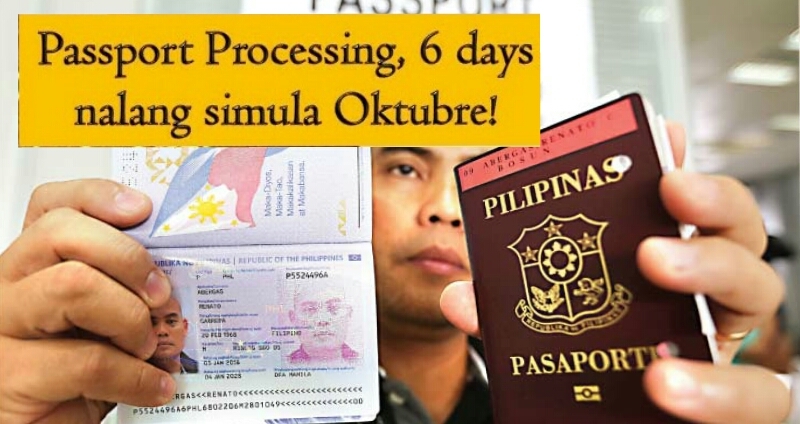 In just six working days, you can now have your passport processed starting October 1, 2018. This is a good news from the Department of Foreign Affairs (DFA). In his statement on the 73rd Session of the United Nation General Assembly, he said, this is one of their promise to President Duterte and to all Filipinos that they will give work hard for providing fast, efficient and secure passport services. The six working days passport processing will start on Monday, October 1, 2018. 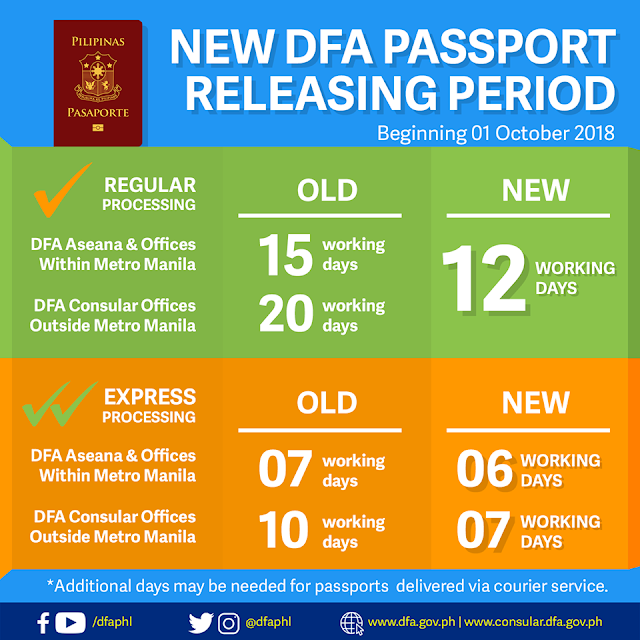 Aside from this, the DFA is now working on reducing waiting time for passport applications at Philippine Embassies and Consulates General around the world from the current two months period. Waiting time for applicants in securing online appointment slots is also shortened within at least two-weeks from two or three months last year. An opening of at least 10,000 slots at 12 noon and 9 pm, Monday to Saturday except holiday. Cayetano assures the public that DFA will continue to work hard to further improve the delivery of passport services as the center of DFA's work. This article is filed under passport processing, express passport processing, passport application, expedient passport, quick passport renewal and fast passport application.